Medical herbalists take advantage of nature’s gift by using plants and herbs whose traditional uses are supported by modern scientific research and clinical trials. The letters NIMH after the herbalist’s name indicate that he/she is a member of the National Institute of Medical Herbalists. NIMH membership is granted after a rigorous three to four year training period. Only then is the qualified herbalist permitted to include MNIMH after his or her name. A qualified medical herbalist has studied both orthodox and plant medicine and is trained in the same diagnostic skills as a G.P (general practitioner). However, herbalists take a holistic (whole person) approach to illness, treating the underlying cause of the disease rather than merely its symptoms. They are able to prescribe herbal remedies to be used alongside other medication and treatments, and GPs often refer patients to a herbalist for treatment. Herbal medicine is suitable for people of any age. Children, in particular respond especially well to the gentle and natural actions of herbs. Each patient is treated as an individual, as a medical herbalist recognises that no two patients are the same. To understand how to boost your immunity, it is necessary to first understand what is at the root of disease and ill health. In relation to immunity, the skin is considered the first line of defence; if it is damaged or weakened, your immunity comes under attack. A herbalist will check a patient’s temperature, and examine the colour, texture and condition of their skin to determine the progress of a disease. In addition to its own nerve and blood supply, the skin contains sweat and oil glands which act as temperature regulators. This provides medical herbalists with good markers as to the progression of a disease. We often lack the necessary components to rebuild and replenish our immune systems, and this is when disease-bearing micro-organisms take the opportunity to strike. The main focus of a medical herbalist’s approach to infection is the well-judged use of herbs which engage with and strengthen the body’s own natural defences. A fever is brought down by encouraging sweating, which is achieved by opening the skin’s sweat pores, increasing blood and lymph circulation to the skin, and toning and supporting the skin’s nerve and blood supply. This herbal approach has been used effectively for centuries to treat acute infections. Herbalists work on multiple levels by encouraging the breakdown and removal of the by-products of infection ‘not only’ through the skin ‘but also’ through lymph, the spleen, liver, kidneys and digestive systems. Herbalists also consider the importance of the linings of the digestive tract, mouth, ears, nose, lungs, and reproductive and urinary tracts, all of which are a continuation of the skin. Herbal medicine is also uniquely useful in balancing the immune system during chronic infection, thereby preventing autoimmune damage. An allergy is an overreaction of the immune system in response to bodily contact with certain substances which the body recognises as foreign. Known as allergens, these substances refer to anything that provokes an allergic reaction in a susceptible person. The most common allergens are respiratory. This includes pollens, moulds, dust mites, animal and bird dander as well as food allergens. The well-known symptoms of allergies—such as a runny nose; red, itchy eyes; sneezing; and congestion and general body itchiness —are familiar to us in conditions such as hay fever, asthma, and allergic eczema. Allergic responses are very complex and involve many inflammatory substances. Some people are born with high levels of antibodies which lead to allergies. This makes such people more susceptible to allergies, but we can acquire them at any stage of life. The conventional treatment of allergies either blocks the immune response using antihistamines or, in more severe cases, seeks to suppress the immune function with steroids, which are taken internally and/or applied externally. Herbs can be used to treat chronic allergies, which provides relief from symptoms. They also strengthen the adrenal glands, which are often exhausted in long-term allergy sufferers. Furthermore, they balance the immune system. Allergies can be greatly reduced and, over time, may even be eliminated by herbal support. For example, herbs are very effective in the treatment of children with asthma, and as always, the medical herbalist’s approach is multifaceted. Bacterial infections and catarrh, which are common in asthma, are reduced in their frequency and strength. The child’s emotional self is gently supported, thereby reducing anxiety. Digestion is strengthened (up to 80% of asthma sufferers have low levels of stomach acid). Coughing and wheezing are soothed. The medical herbalist can prescribe excellent herbs which open up the bronchi but which are not available over the counter due to their potency. It is important to know that asthma is potentially a life-threatening condition in both its juvenile and adult forms and that you should never stop using asthma medications without first consulting your health-care provider. It is also important to get immediate medical attention in the event of exposure to allergen(s) which are known or suspected to precipitate an anaphylactic reaction in a susceptible individual. Some of the most exciting uses of herbal medicine are to treat autoimmune disruptions of the immune system. It is not clear why the body targets its own tissue, not recognising it and attacking it as if it were a threat. However, it is thought that autoimmune diseases are triggered by an infection, insect bite, or extreme exposure to environmental toxins. Once its defences have been stimulated by the initial assault, the immune system seems to continue in a state of chaos, creating a cycle of chronic inflammation followed by tissue damage and increasing loss of function at various sites in the body. This is often because the infection or the effects of the triggering factor have not been fully cleared from the body. Some examples of autoimmune conditions are lupus, rheumatoid arthritis, Crohn’s disease, and multiple sclerosis. Clinical studies have shown that herbal medicine is effective in treating allergies, asthma, lupus, and rheumatoid arthritis. Herbal medicine is effective in relieving symptoms, reducing inflammation, repairing tissue damage, improving our ability to adapt to stress, improving mood, and at the same time encouraging the body to overthrow the initial cause of the condition. In a similar way to the immune system, herbs are used to strengthen the affected tissues and provide the conditions to neutralise an infection. This halts the vicious cycle of inflammation and tissue damage which the infection has set up. As a result, the herbs reduce inflammation and heat and therefore pain. They balance fluids and in general restore health. In western civilisation stress is forever an issue for us. As a consequence the population as a whole is exhausted. Often it is impossible to wind down after a stressful day at work and we cannot get to sleep. Without a restful night, how can we expect to have energy to face the demands of the following days? It is fortunate that correctly prescribed herbs can help the body cope with these stresses by assisting our own coping mechanisms by gently nourishing the adrenal glands and supporting their function. Herbs also calm the nervous system throughout the day, giving us the chance of a restful sleep and strengthening the blood. Each herb has its own subtle effect on increasing our energy and stamina; making sure that we do not become so depleted we burnt out. Many busy patients around the country u.k. have found that working with their local herbalist enables them to cope better with the strains of modern life, and supports them to make changes to their lifestyle for the better. Some health conditions, like M.E. Chronic Fatigue Syndrome will present as very different, complex symptom patterns from one individual to another. A qualified medical herbalist who possesses a thorough knowledge of the potential of herbs, can choose just the right treatment to restore health gently and effectively. Very often herbalists see the damage of multiple, repeated and chronic infections that have been treated with antibiotics. Infection will then manifest in this persistent state as chronic fatigue syndrome and its most debilitating symptom which is extreme exhaustion. Exhaustion is also often the result of continuous low grade infection so that the body’s immune and stress adaptive systems continue to be on red alert. This depletes the body of nutrients, and weakens the adrenal gland thus depleting its coping capacity. Herbs are used both as medicines and food to nourish, restore and replenish our vital reserves; to support adrenal and other hormonal function; to sharpen appetite and digestion, and most importantly to enhance the body’s capacity to absorb nutrients from its food. In so doing, energy levels are boosted as is its ability to adapt to stress. Individuals are just that, individual, and our emotions are as unique to us as our fingerprints. Our overall constitution, the health of our hormonal systems, our neurotransmitters, our hearts, may all reflect in our emotional health. The solutions are as individual as the patient. Yes, there is St John’s Wort which has been well researched and is therefore well known, and there are many other herbs which can be just as effective as any anti-depressant drug. However, often simply replacing one drug with another plant drug, albeit safer, is only part of the answer. Your individual herbal prescription will consider not just your serotonin (a neurotransmitter) levels, but also the state of your adrenal glands, digestion, circulation and stress responses. Given time to heal these and a multi-system approach to emotional health, true healing will occur. Hormones are the messenger chemicals of the body and they control almost every bodily function. Even small changes in the levels of hormones can have dramatic effects on the body and the mind. Herbalists recognise this and consider the effect of relevant hormones in each given situation. Hormones maintain sugar levels in our blood, regulate mineral content by directing activities within the kidneys, and perhaps most astonishingly, direct and control many of the functions allowing for reproduction. Without hormones, animal life would simply not be possible. It is essential to ensure that our hormones are working seamlessly and harmoniously. Imagine a situation where none of the managers in a major factory knew what each other was doing – the result would be total chaos. A tiny amount of extra progesterone in a pill can prevent ovulation, a slight decrease at too fast a rate can lead to severe pre-menstrual tension. Almost wherever we look within the body, hormones are playing their managerial role. Adaptogen herbs allow us to adapt to changing situations. These herbs such as ginseng and Rhodiola achieve this by being active on the link between the hypothalamus, the pituitary gland and the adrenal glands. Hormonal health is also dependant on many apparently unrelated factors i.e. the health of bowel flora, good liver function, elimination, and the efficient absorption of food. It is easy to see how the complex inter-relationships between hormones in every system of the body need the services of a trained professional to unravel. Medical herbalists work with hormonal imbalances almost daily in their clinics. A thorough case history and testing enables them to put together a prescription especially designed for you. Throughout history herbs have been safely used to support fertility, pregnancy and childbirth. Today we have a range of herbs and strategies to assist with conception working with both men and women, helping to maintain a healthy pregnancy for mother and baby, and giving support through childbirth. Having difficulty conceiving can be a very distressing experience for many couples. Sometimes the problems can be mechanical – such as low sperm count, poor sperm mobility; or related to hormone imbalances and specific syndromes like polycystic ovarian syndrome or endometriosis. Diet and lifestyle play a huge part in the ability to conceive and stress is a major factor too. As a herbalist I look at your whole health and may work with you on any of these areas to increase your chances of conception. Pregnancy is a wonderful time for most women but it can come with its health challenges too. It is common to experience nausea, constipation and backache and, because they are pregnant, women are limited in the choices of medicines they can take. Fortunately there are many herbs that can be safely taken throughout pregnancy to ease the journey and many herbs can be used during childbirth too. It is extremely important to work with a qualified medical herbalist when taking any herbal remedies during pregnancy and while breast feeding. 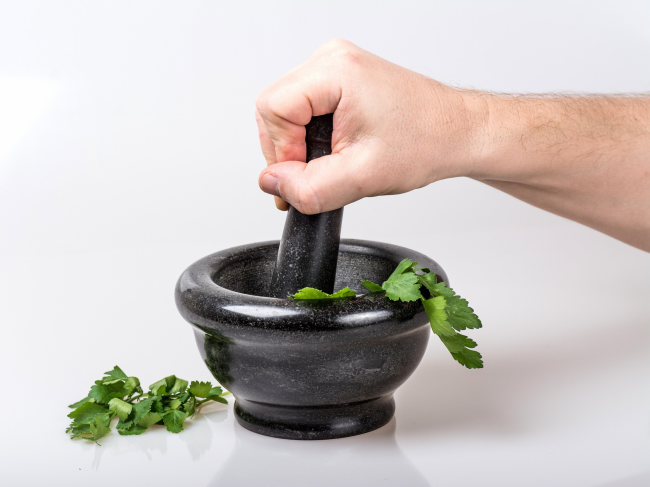 Medical herbalists such as myself, are often called upon to help in many conditions where assessment reveals that the patient’s digestive function is below par or when there is damage to the tissues in the digestive tract. Poor digestive function is so very common in modern life. In addition to well known syndromes such as irritable bowel and conditions such as Crohn’s Disease, poor digestive function can contribute to many apparently unrelated issues. For example inflammatory joint and skin conditions often have their root cause in poor digestive function. Many herbs are known to act directly on the digestive tract – bitter herbs for example may stimulate acid and enzyme production, fennel and other aromatic herbs prevent bloating, but this is only part of the story. Inflammation also plays a major role in many conditions affecting the digestive tract, and medical herbalists have a multiple approach to decreasing inflammation. For example there are herbs which act in a similar way to aspirin, i.e. herbs that allow your own body’s anti-inflammatory hormone cortisol to remain active for longer and therefore give your adrenal glands a rest. Other herbs soothe inflammation by direct contact. Thus when inflammation is part of the problem medical herbalists have many diverse herbs in their dispensaries that they can choose for each individual and unique situation. These different herbs work together in synergy to support the body. Phase 1 comprises a complex series of enzyme systems in the liver. These enzyme systems are responsible for the breakdown of many substances, including toxic metabolites and drugs. Phase 3 works at the cellular level, removing unwanted substances from a cell. It is no good stimulating the enzyme systems to break down more chemicals if phase 2 is not working well enough to bind them as this may simply lead to a further build up of toxins. And yet, if phase 1 is not working optimally, then unwanted substances may continue to have detrimental effect upon the body, often shown as a reaction in the skin. This is true detoxification and too complex for any single over the counter product to achieve, simply because of the number of variables within each individual. If you were to compare the body to the environment, and assume that one cares for the environment as a whole, a good analogy would be to say that there is no point in putting your rubbish out in front of your door if the rubbish is not due to be collected for a week. You simply end up with smelly trash at your front door. The truck needs to pick up the rubbish, pack it and transport it away. A medical herbalist’s training allows them to assess when the heart needs direct assistance, when there is a situation that requires orthodox medical intervention or where working with overall health and well-being is the best strategy. This flexible approach helps to ensure that the heart is not ignored until the point that it is diseased, but understood and nurtured. This is preventative healthcare.